“The committee feel that it would not be right to close the Report this year without referring to the decease of two of the greatest of the many great chess players with whom its reputation is associated, viz, on 25th March, Mr G.S.Spreckley, and a few days afterwards, on the Good Friday, Mr Augustus Mongredien. Augustus Mongredien was supposedly the son of a French army officer who’d fled to this country when Napoleon seized power in 1798. His surname is sometimes written by modern writers with an acute accent on the first “e”, though contemporary sources such as census returns, and magazine’s (for instance The Chess Player’s Chronicle) did not use an accent on the “e”. The Chess Player’s Chronicle used a grave accent in “Le Palamède”, so it’s omission of an acute accent in “Mongredien” presumably wasn’t a problem regarding the available typeface. It may be that the surname of our man’s father, in French was “Mongrédien”, but that in England the accent dropped out of use and wasn’t adopted by Augustus himself. He was reportedly educated at Penn Roman Catholic College in Buckinghamshire, though identifying this establishment is difficult. Around 1840 he got married to Jannet(te) Ann(e) Lockerby, daughter of William Lockerby, mariner, of Toxteth Park, and his wife Ann. The bride had been baptised on 20/09/1816 at St. Nicholas, Liverpool, by T. Kidd, curate. Her forenames in the baptism register were “Jannet Ann”. The spellings used in census returns suggest our man Gallicised the spelling of his wife’s name to “Jannette” (or “Jeanettte”) “Anne”. She was ten years younger than Augustus. Gore’s Directory of Liverpool & its Environs, 1853, listed our man’s father-in-law, William Lockerby, as a merchant and shipowner resident at Fairfield House, Fairfield; it also listed a different William Lockerby as owner of a scotch plaid and tweed warehouse, resident at 15 Mount Pleasant. The couple’s first child was a daughter confusingly also called Jannette, like her mother. Sometimes the spelling “Jeannette” was used in census returns for both mother and daughter. The 1841 census found 34-year-old Augustus, his wife 24-year-old wife Jannette, and his 4-month-old daughter Jannette, living with three servants at 76 Grove Street, Liverpool. The occupation entry given for Augustus isn’t very clear. It may be the word “warehouse”. The Dictionary of British Biography says he was owner of the first screw steamers going to the Levant, which was presumably while he was resident in Liverpool. This sounds rather as though he had got involved in, or inherited, the business of his father-in-law. At some time from 1844 to 1851 the family moved to Lewisham, Kent. The 1851 census found the whole family, apparently, with three servants, at Morden Hill, Lewisham, Kent. Confusion stems from the fact that Adele was not mentioned by that name, but instead 9-year-old Augusta M. A. Mongredien was listed in her stead. This was presumably a mistake. Augustus senior was described as a corn factor employing three clerks. The 1861 census found the family, including Adele but not “Augusta”, with four servants, at Forest Hill, Lewisham, Kent. On this occasion son Augustus was listed under the French version of the name, “Auguste”. The household now also included Jemima Lockerby, a 34-year-old Liverpool-born sister of Jannette senior. Augustus senior was still described as a corn factor. The 1871 census found essentially the same ménage resident at Prospect Villas, Lewisham. Now there were only three servants. “Auguste” was now back to his normal “Augustus”. The occupation of Augustus senior is difficult to decipher, but was probably corn factor and landowner. Adele and Augustus junior had no occupation listed, suggesting they were still supported by their father. The 1881 census found the family living in a villa at 15 Park Road, Forest Hill, Lewisham. Augustus junior was not listed, presumably having left home, and there were now only two servants. Both daughters remained unmarried. Significantly, the occupation of Augustus senior was now “author of political economy”. At some time from 1881 to 1888 he must have moved from 15 Park Road to 31 Park Road, at the latter was his address at death. Augustus Mongredien (senior) had long been interested in the politics of economics, in particular advocating free trade. As early as 1831 he had joined the National Political Union. He wrote various political works on subjects such as free trade. He also wrote works of a practical nature on horticultural subjects. He was elected a member of the Cobden Club, a London gentlemen’s club founded in 1866 for advocates of free trade, named after Richard Cobden, which closed toward the end of the 1970, and is distinct from a club of the same name, but a different type, founded in 1996. On Gladstone’s recommendation, he was put him on the Civil List to receive a pension from the Crown. He was, reportedly, a polyglot and musician. Probate records state that Augustus Mongredien of 31 Park Road, Forest Hill, Kent, died at his home on 30/03/1888. His will was proved by his son, Augustus Mongredien, of The Retreat, Eglantine Road, Wandsworth, Surrey, commercial clerk. The deceased left a personal estate of £3,240 13s 5d. Augustus Mongredien joined the Liverpool committee for the second Leeds-Liverpool correspondence match starting in 1839. 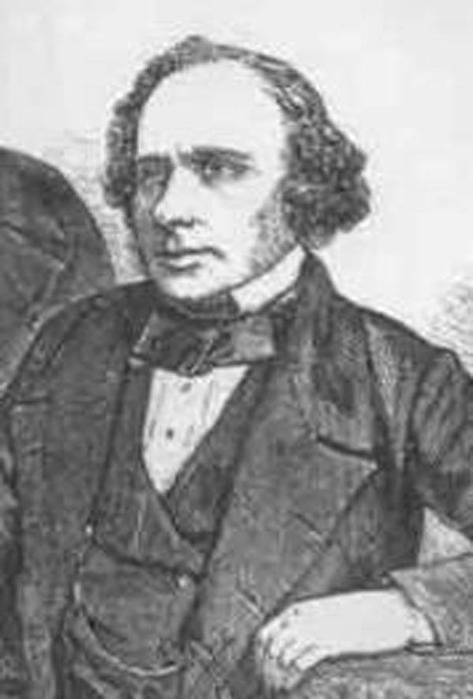 Augustus Mongredien and Gustav Christian Schwabe were guests at the first meeting of the original Yorkshire Chess Association (q.v. for game v. John Rhodes) at Leeds on 18/01/1841, in their respective capacities of president and secretary of the Liverpool Chess Club. He has supposedly joined the London chess club, while still resident in Liverpool, and been president of that club from 1839 to 1870. He attended the 1861 Chess Association meeting in Bristol, and the 1862 British Chess Association (as it had been renamed) meeting in London. It would appear he was sympathetic to Arthur Bolland Skipworth’s activities, as Mongredien was a subscriber to Skipworth’s “Yorkshire Chess Association” meeting of 1868 in York. Augustus Mongredien was a noted English amateur. He was President of both the London and Liverpool Chess Clubs and did a lot to promote chess in both cities. In 1845 he played matches against Wilhelm Hanstein, winning (+3, =2, -1), Karl Mayet, drawing (+3, =1, -3) and Dr. Ludwig Bledow, losing (+4, =1, -7). He also played matches against some of the great players of his day, losing to Paul Morphy (+0, =1, -7) in 1859, Daniel Harrwitz (+0, =1, -7) in 1860 and Wilhelm Steinitz (+0, =0, -7) in 1863. Dear Sir, I am writing an article about the former Liverpool CC secretary, George Stormont Spreckley, especially his period working as a merchant in China (1851-1854). I wonder if the Liverpool CC library has any pictures of him as I would like to include this in the article?